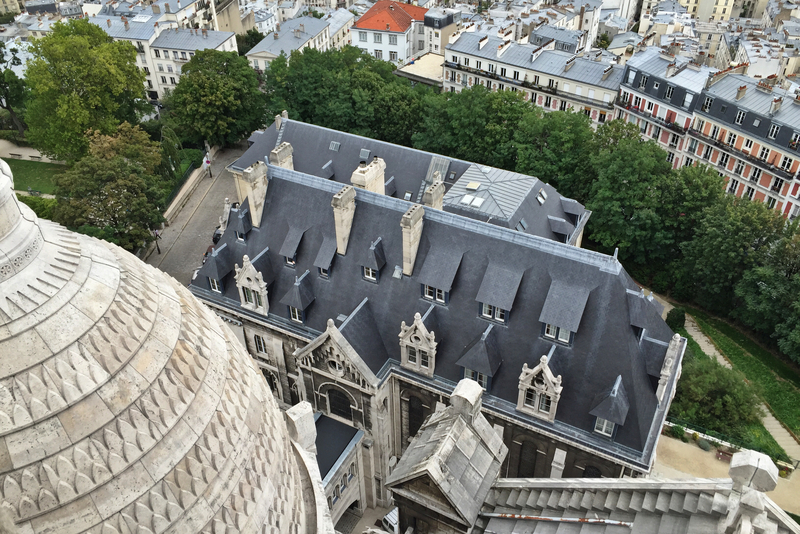 Here I am more than five years into Paris as a permanent resident, working day after day as a tour guide, and still there are certain obvious activities I’ve never managed to check off the list. I guess we all have that list no matter where we live, no? 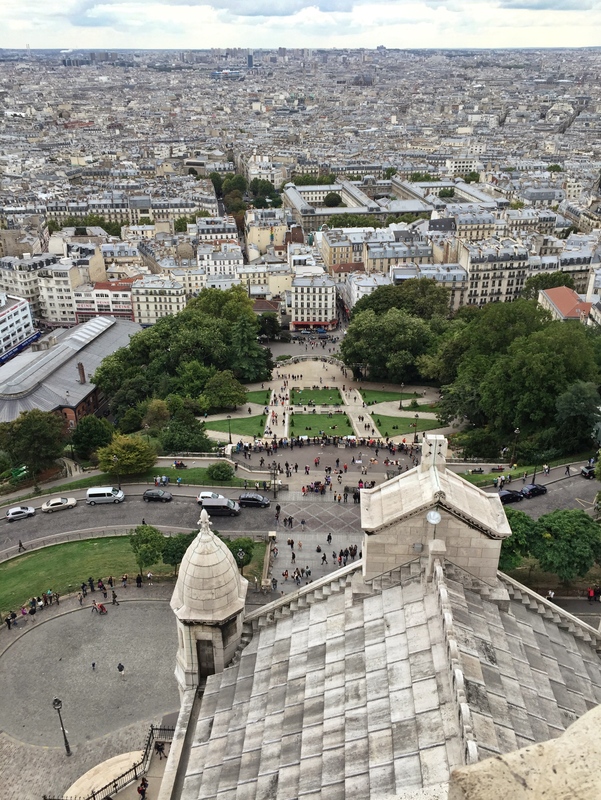 One regret that I’d harbored for a while was never climbing to the top of the Sacré Coeur Basilica in Montmartre. I had so many times, from down below, viewed the ant farm of visitors up inside the dome and always felt a pang of envy imagining the fantastic views to be had. Well life’s too short for pangs, so I finally made it up the church’s 300 stone stairs and this is what I saw. I swear, every time I see you posts, I get goosebumps. Been there twice and just have a heartfelt love for the city. I tell my kids if they ever come home and my suitcases are gone, they know where to find me, lol! Was there three years ago for my 40th birthday as a surprise trip from my husband. What an awesome experience for you to have that opportunity to experience an historic culture. Your pics truly make me smile. Thanks for your work and when I come back I will look you up. Being from the east coast as well (Philly) I can bring you some memories from your home…maybe some mozzarella or tasty lakes, lol!! Aww thanks so much Colleen, I’m happy to have you as a follower. I am truly blessed and hit the lottery when I got to move here. I only hope my posts help transport you back over here, if only for a few moments. 😊 Thanks for your lovely comment. 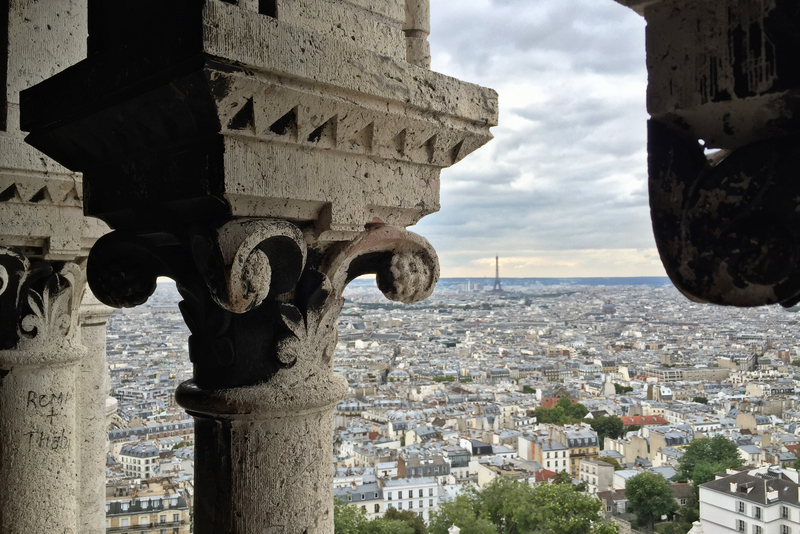 Three hundred steps…almost like climbing up out of the Catacombs! ☺️ Great pics–like the shot with the gargoyle. Fantastic photos. Thanks for sharing them. It looks like it is well worth the climb, like the 311 steps up the Monument in London where you can also get panoramic views of the city, albeit not as stunning as what you have shown us here. Thank you Susan, these views were just too wonderful to keep all to myself! 😀 thanks so much for leaving a comment. Wonderful pictures! Buildings seem very close together in Paris. Thank you Merillion, I’m so glad you liked the photos. 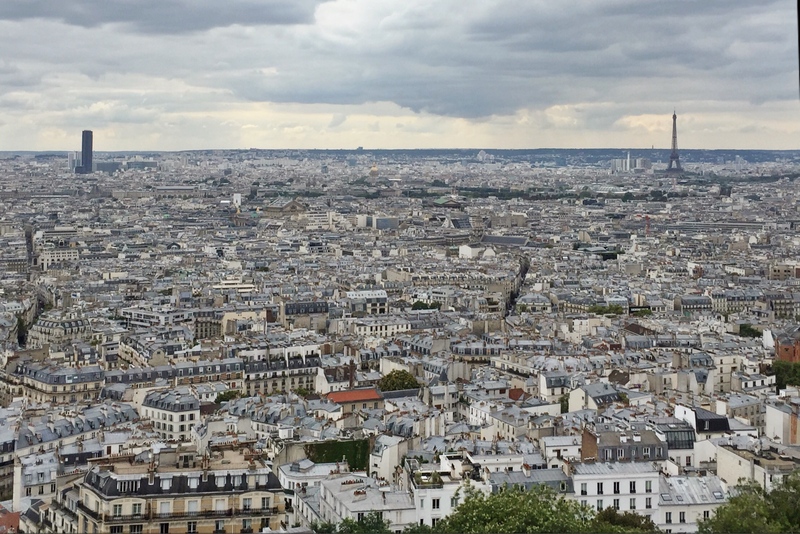 Paris is in fact a very densely populated city with 2.2 million people packed into a relatively small area. Plus when you’re only allowed to build buildings 5 or 6 stories high, you run out of space pretty quickly! 😊 Thanks for stopping by and leaving a comment. Your pictures are awesome, as always. We will be in Paris the end of this month; perhaps we will try it. Thanks so much Wanda 😄. If you’re looking for a guide to show you around the city be sure to send me a note at cofrye.fr@gmail.com. Have fun planning your trip! Well after 13 years here I’ve yet to do this as well! Honestly, I never thought about it though. BUT your post definitely makes me want to! Thanks Melissa, great to hear from you! 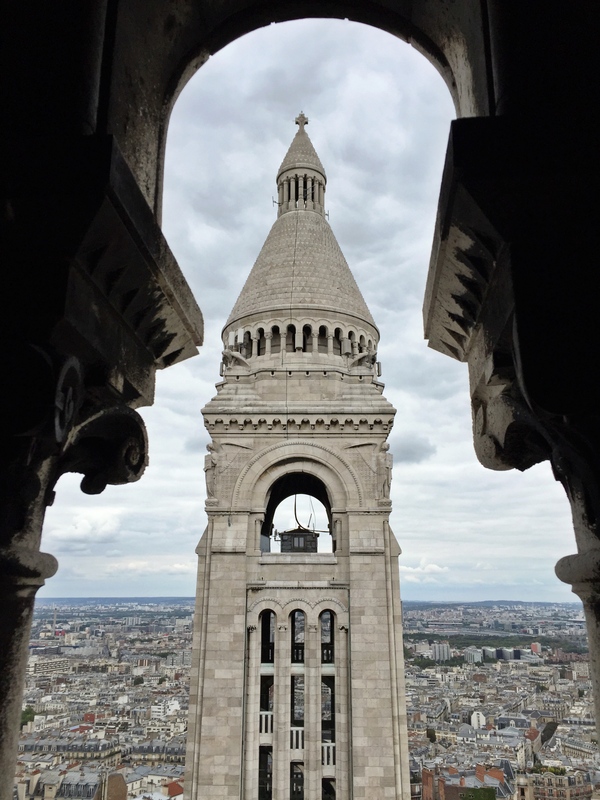 I give so many tours of Montmartre that pass under that dome…I just had to check it out, the guilt was killing me. Climbing the Arc de Triomphe is the next one on the to-do list. Have a great one and thanks for stopping by and commenting! I attempted the same climb three weeks ago (also for the first time) but was thwarted by a crashed computer system and an obstinate civil servant who refused to sell me a ticket even if I paid in cash. But your wonderful images have made up for any disappointment and curiosity about what one might see from the top of the White Wart. Thank you for sharing them, Corey. They’re simply stunning. Thanks Heather! White Wart, haha never heard that one. I shall be adding that to my next tour of Montmartre! You’re very welcome Diane! But please don’t talk like that. 😊 I’m sure you’ll make it over one day and when you do, look me up! I enjoyed looking at the photos, thanks! Hi I came over from FB. I remember my first trip to Paris ..April 2009 and my friend and I did this. No one had mentioned it.we found it by mistake as we went to little entrance to go to the crypt and they said why not do this. Absolutely stunning views , aren’t they. Well worth the climb!!!!! :-) thanks for sharing . Hey Annie, thanks for migrating order to the blog! Aren’t the unexpected discoveries always the best? Thanks so much for stopping by and leaving a few kind words. Always appreciated! Thank you, I hope you do make it up one day! I hope you make it up there too. 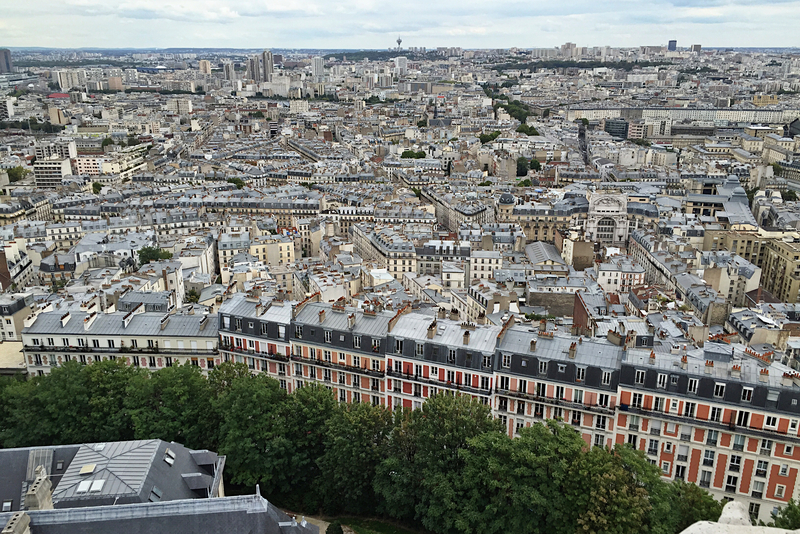 Have you been to the top of Tour Montparnasse? It is amazing. I went during the day , next time I would go in the night. No I haven’t made it up there yet but hope to! Had to reblog this so my granddaughter and her partner could share your love with their love of this beautiful city. Florence is, always has been, number one for me but Paris comes a close second. Thank you for sharing your beautiful and breathtaking experiences. Thank you so much Maureen. I’ve yet to get to Florence but something tells me I’d fall right in love with it. I appreciate the reblog and your lovely comment! I have yet to go to Florence .but I have been to many other places in Northern Italy. ..and I absolutely adore Italy. I have been to Paris twice but never went to Monmarte. All that I read scared me: pickpockets, bracelet men, tacky/touristy area, all of that. Seeing these pictures I’m kicking myself. I’ll go up next time for sure. These images are so beautiful Corey. 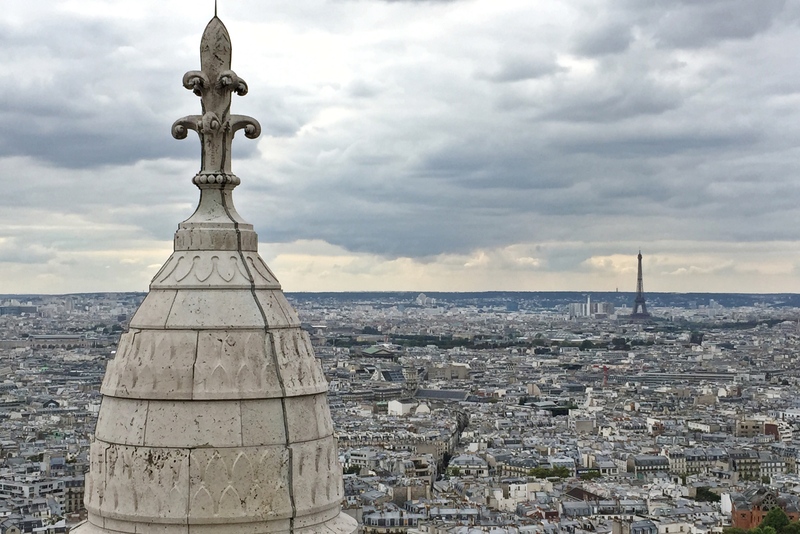 I love this area of Paris, my favourite view is looking out onto Paris standing in front of the Sacré Coeur. Feeling sad about the recent events, really sad, so sorry for you and everyone living in Paris and those that have lost loved ones. You are all in my thoughts. Thank you Danish Exchange. I’ve appreciated the outpouring of concern and support. It’s a troubling time, similar to when I lived in New York during 9/11. But we’ll get through it. Lovely!! Never been to the top either — but now I don’t have to, thanks to your great photos!! Sorry I’ve been such a late reader — but I’m saving your posts and reading them when I get a free minute!!! No problem at all Betty, to be honest my postings have been few and far between lately anyway. But as always I am honored by your visit! There really are some stunning views from the top of this place, I was so happy to share them with everyone. I hope you and your family are doing great. Take care! Oh and also Betty, I’m not sure if you already know other tour guides in Paris, but if you ever have friends coming over I’d be happy to talk to them about giving them a tour! They can click the tab at the top of the page and send me a note. 😊👍 Cheers! Absolutely beautiful pictures – the view isn’t bad either. Not sure I could make the 300 steps anymore but it looks fantastic. Just found your blog and live walking tours, love them so much! 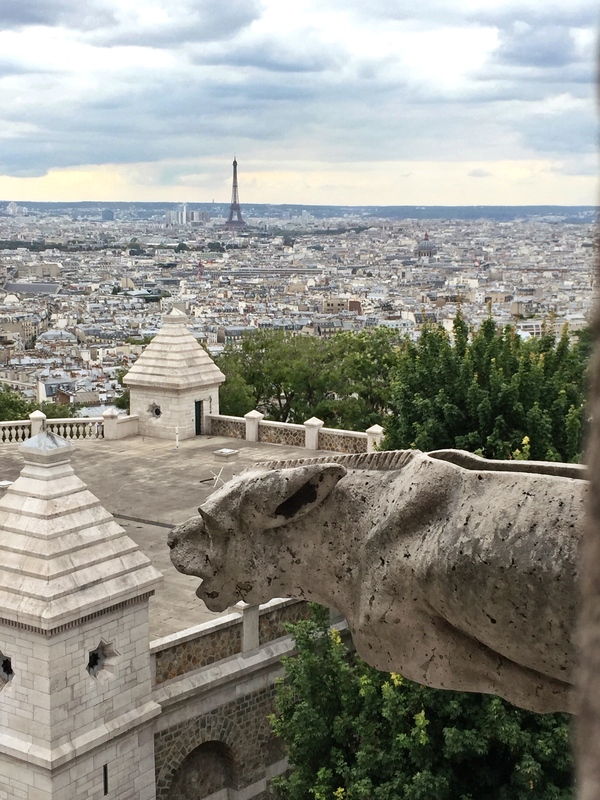 My husband and I love Paris and have been a few times,so far from Oz but your blogs help relive our travels, thanks Corey. Thank you that means a lot. Stay tuned for more videos and an evolution of the project! 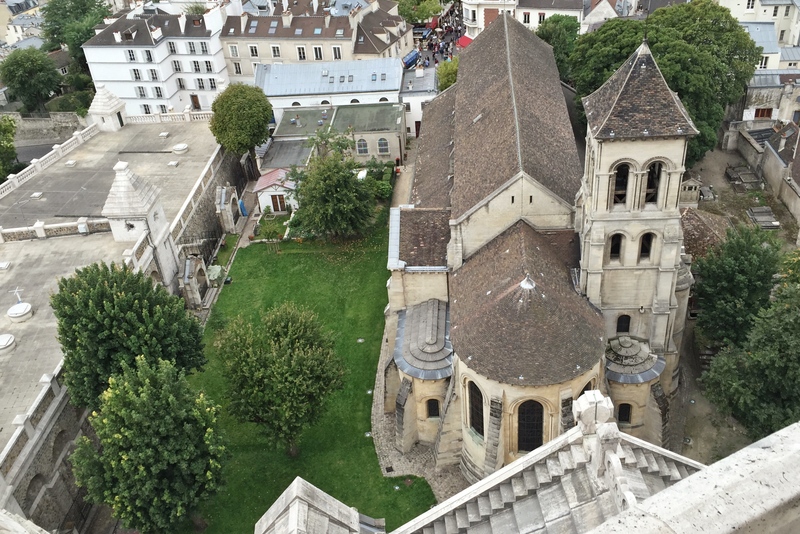 I climbed those 300 steps on a Sunday morning and heard the bells ring and the choir sing. What an experience!